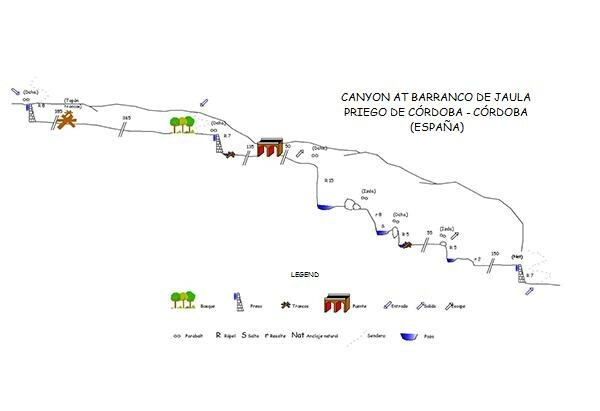 What is canyoning on Río Genilla or descent of canyons? In this canyon, located in Río Genilla, Priego de Córdoba (La Subbética Cordobesa, Andalucía), we will descend the riverside of Río Genilla in a total of five rappels (the highest one is 49,21 feet high). Two of them can be avoided if we walk or use a chute. The 13,12 feet waterfall can be avoided too. The views from the canyon, the typical landscape from La Subbética Cordobesa, are stunning. Where is Barranco del Genilla located? 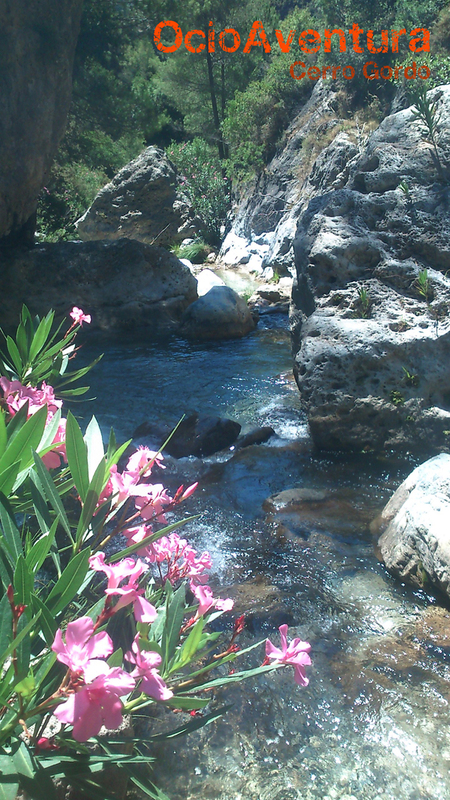 This canyon, also known as Barranco de Jaula, is located in Priego de Córdoba; forty-five minutes far from Córdoba and one hour far from Málaga and Granada. You don’t need to have any previous knowledge to practice canyoning in Córdoba; one of our qualified guides will be with you in every moment. The practice of canyoning on Río Genilla has a medium-low difficulty: three hours and a half length. When can you practice canyoning on Río Genilla? Canyoning on Río Genilla can be practiced during the whole year. Ask for information about the state of the canyon. This activity is aimed at anyone who wants to learn how to practice it. 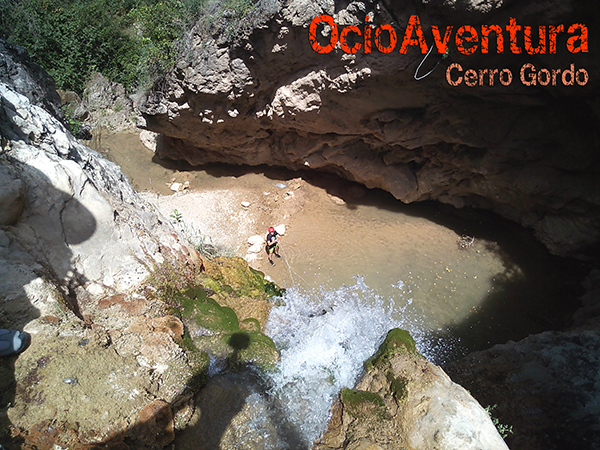 OcioAventura Cerro Gordo offers canyoning on Río Genilla to groups with more than four people. If your group is smaller, you can join another one or ask for prices. Consult us! 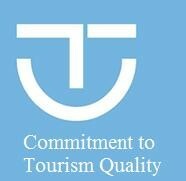 You do not need previous experience to practice it, and that is why it is aimed at any group of friends, business incentives in Málaga, Granada, Córdoba or Sevilla, schoolchildren groups, hen and stag parties groups, high school and advanced degree students groups, universities groups from Granada, Málaga, Sevilla or Córdoba, etc. Authorised technical equipment for the activity (wetsuit, helmet, carabiner, harness, etc). You will just need a pair of trainers which you can soak, swimsuit, towel, and spare clothes to change when the activity ends. Groups from 1 to 6 people: ask for prices. Groups from 6 to 12 people: €40 per person. Groups with more than 12 people: €35 per person. ASK FOR PRICES IN CASE OF LARGE GROUPS OR IF YOU NEED INFORMATION ABOUT PACKS WITH OTHER ACTIVITIES TOO. 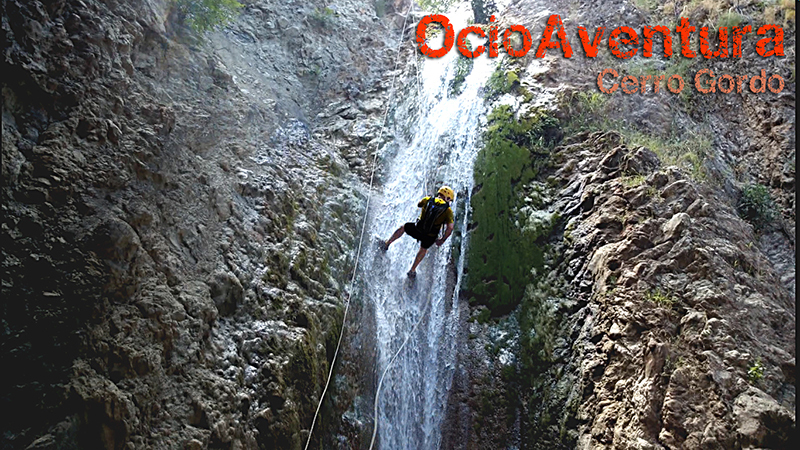 CANYONING ON RÍO GENILLA + VIA FERRATAS (Climbing routes): from €65 per person. CANYONING ON RÍO GENILLA + LUNCH + RAFTING: from €80 per person. 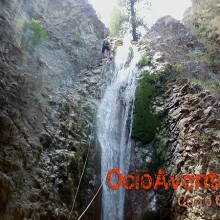 CANYONING ON RÍO GENILLA + RURAL ACCOMMODATION: ask for prices depending on the number of people. 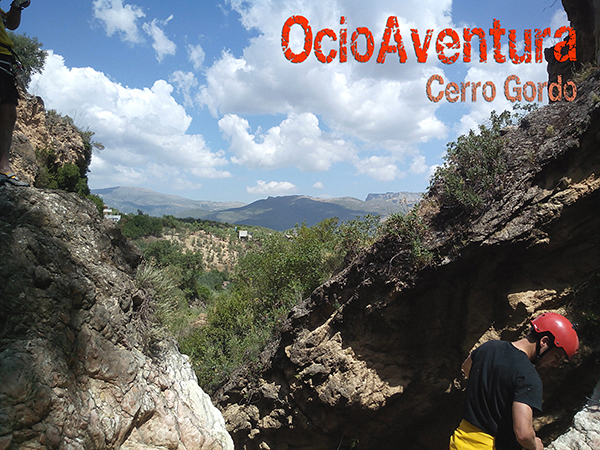 If you wish to give a special and different gift, ask for a gift voucher and bet on canyoning in Córdoba or any other activity offered by OcioAventura Cerro Gordo. You will be the most innovative one.